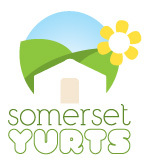 We are delighted to announce that planning permission has now been granted for Somerset Yurts! This means we have a very busy Winter ahead of us, as we convert part of the Dutch Barn into a kitchen, bathroom, and communal area for our yurt guests. We also have some landscaping to do, including the planting of some apple trees in and around the yurt field. Our plan is to be open for Easter 2011, so if you would like to enquire about bookings for the 2011 season, please contact us via the bookings page. Spring has Sprung at Somerset Yurts! West Country Charcoal – Now Available!